Hurry-up! 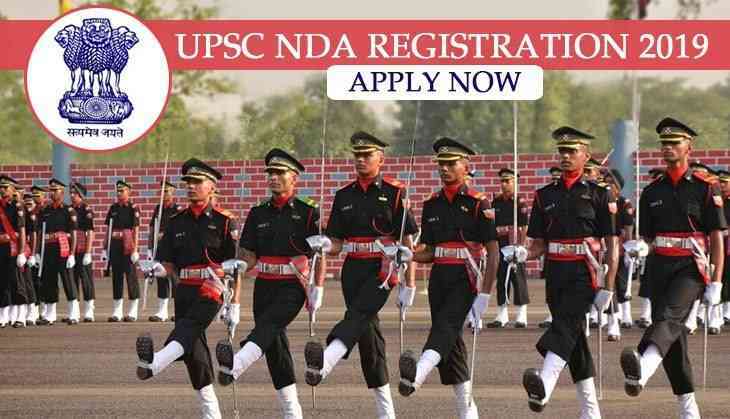 Only a few hours have been left for the online registration for the National Defence Academy & Naval Academy Examination (I), 2019. Therefore, aspirants who have not applied for the prestigious entrance exam till now can submit their application forms now. As per the notification, the online application process will be going to conclude today (4th February 2019), all the eligible and interested aspirants can submit their application form now. The online application process for the same will end today at 6:00 pm. Further, the examination for the National Defence Academy & Naval Academy Examination (I), 2019 will be held on 21st April 2019. NDA and NA exam are held for the admissions to the Army, Navy and Air Force wings of the NDA for the 143rd Course, and for the 105th Indian Naval Academy Course (INAC) commencing from 2nd January 2020. Agartala, Ahmedabad, Aizawl, Allahabad, Bareilly, Bengaluru, Bhopal, Chandigarh, Chennai, Cuttack, Delhi, Dehradun, Dharwad, Dispur, Gangtok, Hyderabad, Imphal, Itanagar, Jaipur, Jammu, Jorhat, Kochi, Kohima, Kolkata, Lucknow, Mumbai, Madurai, Nagpur, Panaji (Goa), Patna, Port Blair, Raipur, Ranchi, Sambalpur, Shillong, Shimla, Srinagar, Thiruvananthapuram, Tirupati, Udaipur and Vishakhapatnam. Note: To know more details about the exam, candidates can check the official website of UPSC.